We simply don’t know how feral cats affect wildlife except on the rare occasions where feral cats have inhabited small islands. There is a lot on this subject and the position of people is very polarized and the discussions can get quite hot. A typical recent example (April 2010) is the case of the feral cats of Los Angeles, where a judge banned the city's support of TNR of feral cats on an application to the court by bird conservationists. The judge made a bad decision in my view because it was not clear to him/her as to how feral cats affect wildlife. This is because there are people who want to wipe out the feral cat because it ostensibly slaughters millions of native animals every year and there are people like me who say, “hang on”, lets take a more balanced view on this emotive subject. People quoting numbers with no reference to the research. The numbers seem to be plucked out of thin air or at best are estimates. This sort of situation normally comes from the anti feral cat brigade and a lot of people from this brigade live in Australia. Sorry, I am not anti-Australia. I like Australia and the Australians but…. Guesses as to the number of feral cats that exist. Guesses as to the number of feral cats that are euthanized each year. I see figures from 2.2 million to 14 million in the USA alone. An almost totally omission as to the impact that humans have on the populations of wildlife species through (a) increased traffic (b) increased building programs (d) increased human populations (e) habitat loss (the biggest impact) (f) farming’s impact through pesticides and loss of habitat (g) careless cat ownership (h) the fact that we, people, created the “feral cat problem”. A failure to factor in feral dog populations. 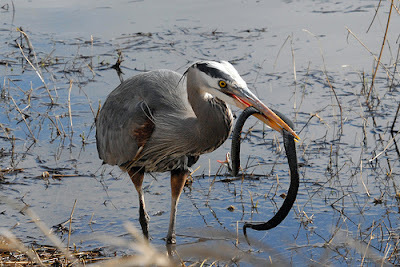 A failure to factor in other predators including birds preying on birds. A failure to study and understand how the feral cat fits in to the ecosystem and whether its demise will improve wildlife species populations. Studies that have been carried out may and sometimes are biased to support political objectives. Need to be cautious when discussing the subject. Need to do more large scale research. The research should be apolitical and truly scientific. It contains wild assertions such as, “They kill hundreds of millions of birds and other wildlife, and it's not going to be easy to get rid of them”. Sure, cats kill birds but we don’t know how many (see below). is far more balanced and it refers to research carried out in 2001 (Berkely, 2001), in which it was found that, ”the feline hunting style of wait and pounce is unsuitable for flying birds. Frequently, the flying birds consumed are injured or already dead”. (I have quoted verbatim for accuracy and given a link in exchange). The Department of Sustainability and Environment (DSE) of the government Victoria, Australia, says, “In Victoria, on average, each pet in reference to cats can kill 25 creatures every year; this adds up to 12.5 million creatures every year”. But there was no reference to where this information came from. One thing for certain that we do know, cats are carnivores so, yes, they will have an impact on wildlife. But how much? We don’t even know how many feral cats there are so how can we work out how feral cats affect wildlife? Update 15th April 2010.... I refer at the beginning to cases of feral cats killing native wildlife on small islands. On these islands the native fauna has evolved without being preyed upon. For example, small islands where sea birds nest on the ground. There are cases of feral cats causing the extinction of island bird populations. I refer to the saddleback and New Zealand's Kakapo (a flightless parrot) which as at 2002 were on the brink of extinction mainly because of predation by feral cats (ref: Wild Cats of the World - Sunquists - 'WOW'). There are also cases of how feral cats have caused extinctions of populations of island reptiles. Between 1974 and 1976, 15,000 iguanas on the Turks and Caicos islands were killed by cats (and dogs?) introduced by a hotel who perhaps wanted to control rodents (ref: WOW). One the Galápagos islands 'the endemic marine iguana' is endangered on some islands because of predation by cats, dogs, pigs and rats (ref: WOW). We should remind ourselves that in these rare cases the problem is of our making as we introduced the cat to these places. I am also skeptical as to the veracity of some of these reports and surveys. There is a lot of bias in such reports. The truth is hard to come by. See some great personal stories about people and rescued feral cats (scroll down once you have reached the linked page). You know, it simply is not the case that the domestic cat wantonly kills and decimates wildlife. Yes, cats that are let out can prey on animals and kill them but the majority of domestic cats never prey on animals even when let out (see the linked post above)! Let's keep things in perspective and balanced, please. I understand your point but the term "feral cat" is used to describe domestic cats that have turned feral and stray cats. These are not wildcats. Also, even true feral cats are not true wildcats. They are cats that should be domestic cats, their parents probably were domestic cats. They have traits that are not like those of wildcats. Feral cats are often urban, dependent on the human environment. For these reasons I can't agree with you. One last point. The source of feral cats is domestic cats and it is for that reason that people see that there is a solution in human attitudes towards domestic cats to resolve the alleged decimation of birds which incidentally is not true. Feral cats are part of our wildlife. The attitude that somehow they are not is an error. So this artical is say 'wildlife is killing wildlife', which is nonsense. The problem is one of attitude, not of cats. The Royal Society for the Protection of Birds says that there is no evidence that the domestic and feral cat are causing a decline in the wild bird population in the UK. OK, it is fine to make this kind of comment but where is the data? Where is the field research that supports this statement? It is simply not good enough to make a statement like this without real on-the-ground verified evidence that is accepted as fact by suitably qualified people. Anything else just muddies the water, confuses the issues and encourages people to mistreat the feral cat who has already been mistreated. The cats in my neighborhood have practically wiped out the native San Francisco garter snake. I have no sympathy for feral cats or those that feed them. Yes, I agree, it all looks nuts to me. It always has. Here, in rural KS, the feral cats feed the coyotes. After they have been hit by cars they feed the vultures. I feed the feral cats, and that benefits the cat food companies. Occasionally a feral cat will thank me by bringing me a dead rat or mouse, and yes sometimes a bird. But people here will poison the birds, they don't want them either. Here, people want barn cats, but they don't want to feed or take care of them. Eventually they wander off looking for food and end up at my place. Where I care for them and try to find them real homes. It's just nuts. How feral cats affect wildlife is made irrelevant when one considers it is inhumane to subject any domestic animal to abandonment in the great outdoors. It should be evident to everyone 5000 years of a symbiotic relationship has evolved them so much they are now a species dependent on us. So much so the biologists say they threaten the very survival of their parent stock through inbreeding. I would no more loose a cat into the wild to survive than a poodle or pit bull, their canine (wolf) equivalent. Should one wish to argue abandoning a domestic pet into the wild is not morally, ethically, and humanely abhorrent I would then ask how they could dare inflict an alien predator onto our native wildlife?